The danish label Echocord Records was formed 15 years ago this year by Kenneth Christiansen. It will now be celebrated with a compilation plus a big tour around it. We are super happy and proud that we can still continue releasing quality electronic music. The compilation contains 10 tracks from 10 artists that all have been releasing on Echocord and Echocord Colour before from veterans Mikkel Metal, Deadbeat, Fluxion to newer signed artist Arovane. All tracks are new and unreleased. 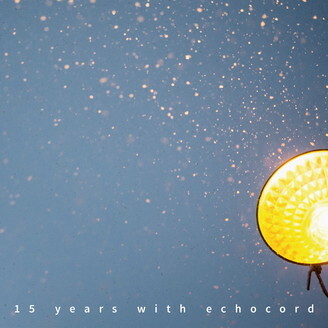 “15 Years With Echocord” covers the typical Echocord sound. From ambinet/chillout by STL, stoned dub by Beat Pharmacy, to typical Dub-Techno and House from Fluxion, Resoe and XDB, to the more dancefloor peak tracks by Mike Dehnert and Deadbeat. Lets do another 15 years .